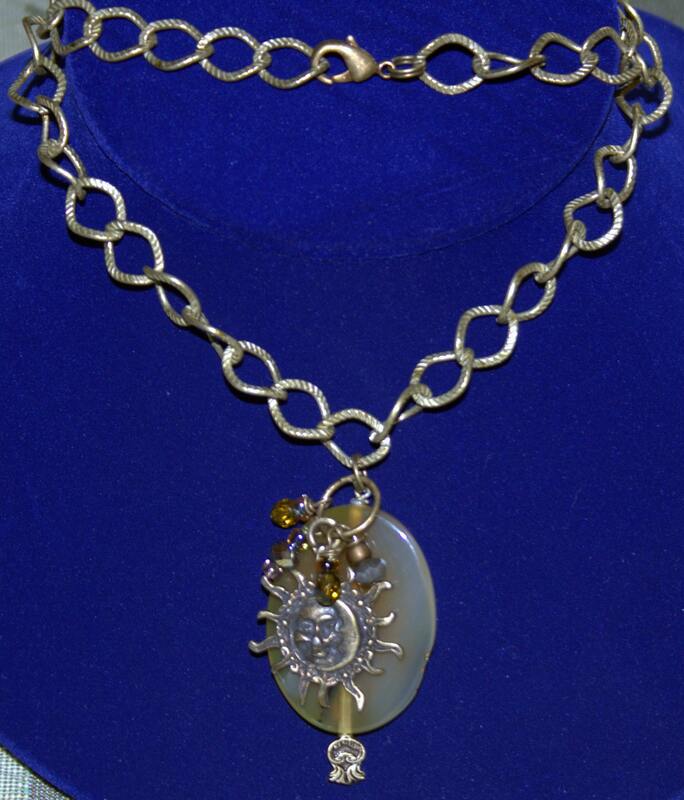 This necklace has a large oval, natural, semi-clear carnelian agate stone on a soft antique brass chain. 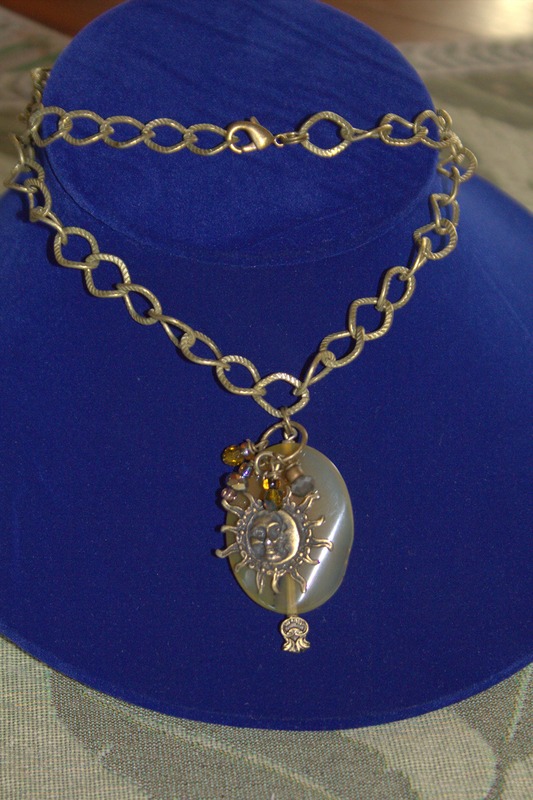 It is decorated with a brass half-sun half moon charm and crystal drops. It hangs @ 13" from the back of the neck to the agate or 26" long on a large loop brass chain and has a traditional lobster clasp.